A statement of purity combined with contemporary detailing brings out the unique character of this china cabinet. Hardwood solids and a cherry finish complemented by white painted drawer fronts elevates its sophistication, while the sleek straight lines enrich the piece with modern style. The drawers on this china cabinet have been constructed with French dovetail fronts and English dovetail backs and feature ball-bearing glide extensions for easy movement. Multiple shelves located on the server hutch will display your china brilliantly. And with the convenient light switch, you will be illuminate your collection at all times of the day. 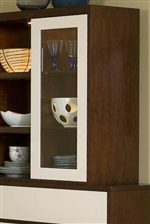 Functionality and style come together to create this magnificent china cabinet. The Enzo Dining Two-Tone China Cabinet by Najarian at Michael's Furniture Warehouse in the San Fernando & Los Angeles area. Product availability may vary. Contact us for the most current availability on this product. 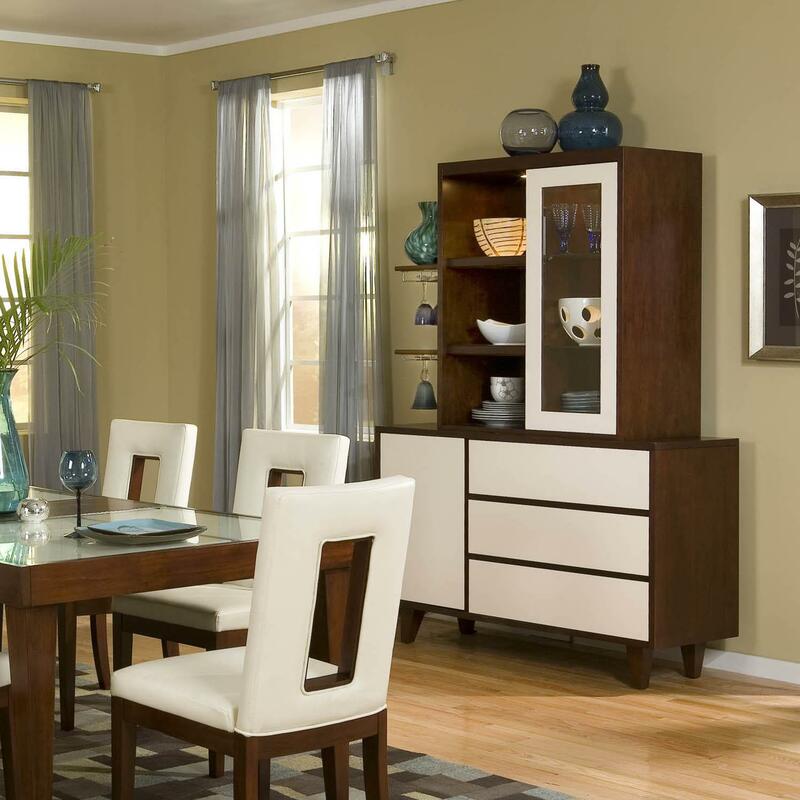 CHENZSTCW Server Top 1 35.12" 17.99" 40.98"
CHENZSBCW Server Base 1 54.21" 19.02" 34.21"
The Enzo Dining collection is a great option if you are looking for Contemporary furniture in the San Fernando & Los Angeles area. 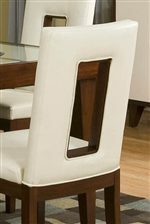 Browse other items in the Enzo Dining collection from Michael's Furniture Warehouse in the San Fernando & Los Angeles area.